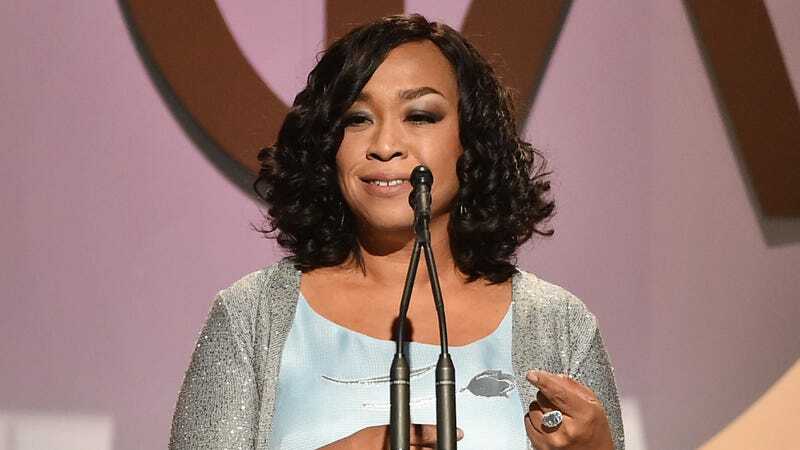 As part of the new Shonda World Order that’s been set in motion, Shonda Rhimes is introducing yet another TV series—an ABC comedy from Scandal’s Jake bae Scott Foley. ABC ordered a bunch of pilots on Thursday, which includes Toast, a show about the adventures of a married couple. It’s written by Foley, with executive production from Shondaland, but Foley is not starring in it. This will be the first non-drama in Rhimes’ portfolio. The ABC Studios hybrid comedy takes place over the course of Max & Page’s wedding rehearsal dinner, which sees their eclectic family and friends give toasts recalling anecdotes about the couple — but flashbacks reveal the toasts don’t always get it right, as the show tracks the real story of their complicated, funny and relatable road to marriage. Shondaland is also behind the upcoming ABC Romeo and Juliet sequel Still Star-Crossed, as well as a divorce comedy and a show about nannies. This ensures that at any point in the day, you will be watching a Shonda Rhimes show.